Promised myself to write one article per week is still hard to do, it's really surprising for that. Here, I took a quick snippet from Google, of course, it follows us everyday :-) on my activities such as traveling and another volunteer stuff as a local guide (distribute the review, photo and pin the map on interest places). I still have a long writing about my visit in Kampong Som last December but of course, still need some more time. 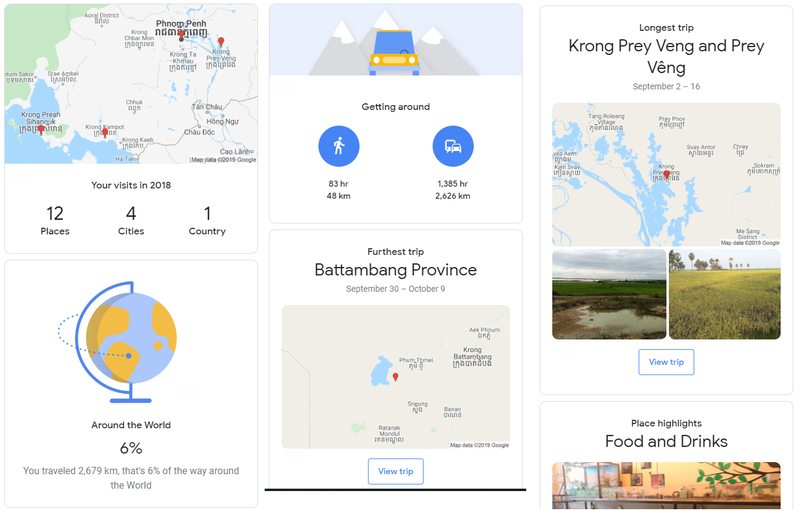 Not so many places, only 12 places visits and 4 cities in Cambodia. It had been featured Battambang and Prey Veng as the main city that I had visited, of course, both of them related to me. Somehow, I took so less in walking per year, I sit too much in the same place, that might be because of my career. 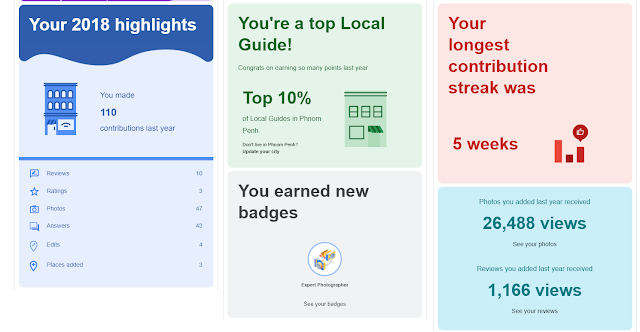 Local guide, I made not so much in 2018 and I'm still level 6, I need around few hundred score more to reach level 7 and I'm sure I can do it in 2019.